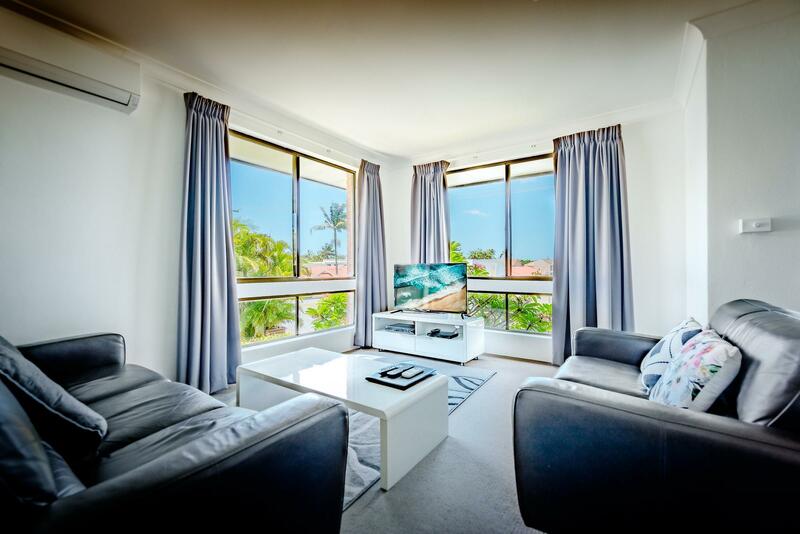 الخيار الأفضل للحصول على المتعة والاسترخاء, Coffs Harbour Holiday Apartments يقع في منطقة Coffs Harbour في كوفس هاربر. يمكن من هنا للضيوف الاستمتاع بسهولة الوصول إلى كل ما تقدمه هذه المدينة النابضة بالحياة. بالنسبة لمن يريد الخروج، هذه بعض المعالم السياحية المتوفرة للزوار Park Beach, Wicked Berries, ‪Velazquez Birthplace‬. إن الخدمات الممتازة وحسن الضيافة العالي في Coffs Harbour Holiday Apartments تجعل إقامتك تجربة لا تنسى. هذه بعض الخدمات الموجودة في هذا الفندق: واي فاي مجاني في جميع الغرف, تخزين الأمتعة, واي فاي في المناطق العامة, صف السيارات, غرفة عائلية. بالإضافة لهذا,تتضمن كل غرف الضيوف مجموعة واسعة من وسائل الراحة . بعض الغرف توفر حتى تلفزيون بشاشة مسطحة, اتصال لاسلكي بشبكة الإنترنت (مجاني), مكيف هواء, تدفئة, مكتب لإرضاء أكثر الضيوف تطلباً. سواء كنت من محبي الرياضة أو كنت تتطلع لتفريغ عناء نهار صعب، ستجد خدمات ذات مستوى عالي بانتظارك كمثل حوض استحمام ساخن, ساونا, مسار جولف - ضمن 3 كم, حمام سباحة خارجي, مسبح (للأطفال). إن كنت تتطلع إلى إقامة مريحة وهادئة في كوفس هاربر، فستجد في Coffs Harbour Holiday Apartments بيتك الثاني. 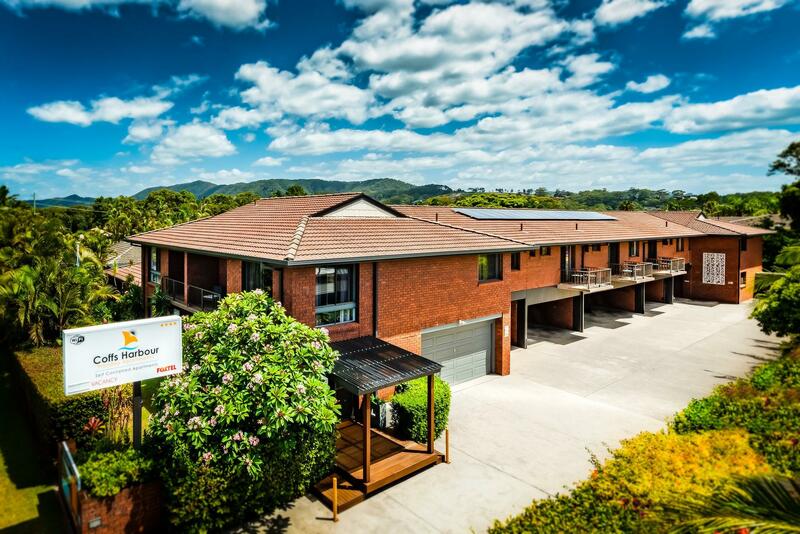 Great apartments, in an ideal location to explore Coffs Harbour and the surrounding areas. Friendly staff, and an efficienct and speedy check in and out. The value for money apartments are well equipped and are nicely decorated. We had a great few days in these apartments and I would definitely stay again if we were holidaying in Coffs Harbour. Minutes from a lovely beach. Alan was really helpful. The apartment was large, bright, good kitchen and laundry facilities. Far enough out of the town, but near enough to a large shopping Plaza. Comfortable, spacious, friendly and value packed. Alan was the best of hosts. Can fully recommend. Place was ok. Furnishings in room felt dated and long unused. Only one A/C unit in the living room and none in the bedroom. PLace feels kind of dark, especially in winter. Welcoming host/manager; comfy beds; great shower; good value for money; close to beautiful beach; convenient undercover car parking. Quiet location All amenities there you would require. Comfortable bed. Best accommodation we have stayed in at Coffs Harbour. It was very quiet but centrally located to shops, beach and Jetty.Self catering suited us. All amenities we needed. Spacious with two balconies. Under cover parking. The holiday apartments are well appointed, safe and convenient for families with young kids. The beds are comfortable and the apartments were clean when we arrived. The apartments are quiet with a pool and play equipment for kids as well as some grass areas to let the kids blow off steam. The rooms have cable tv and wireless internet which makes it convenient if the kids are trapped in the room due to adverse weather. Allan (the manager/owner) and his team went out of their way to assist us in extending our stay and to arrange anything we needed to make our stay comfortable. We would stay again if the opportunity presents itself. Thanks for making us welcomed at your complex! Excellent! We would stay there again. Our stay was very pleasant. The apartment was clean and fully self contained. Privacy was well respected. Enjoyable and comfortable with close proximity to the beach and activities as well as restaurants and shopping center. 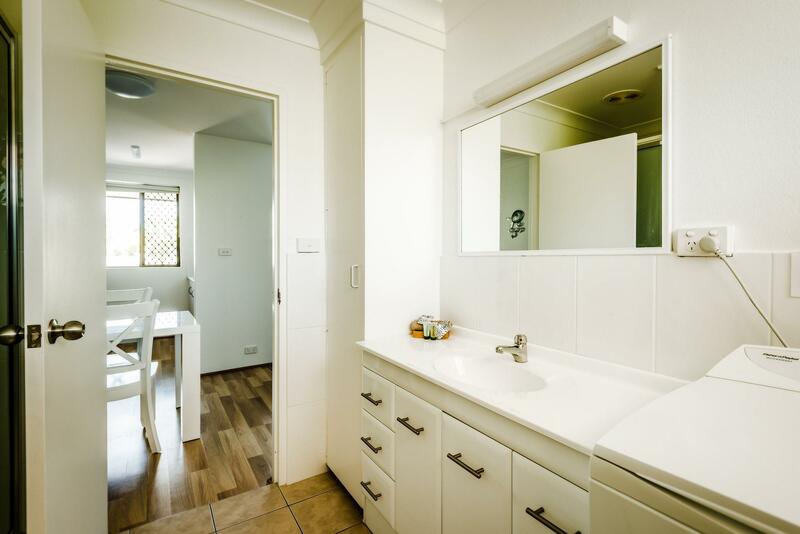 Well equipped kitchen with lots of room to move about.The staff were very friendly and helpful and even offered a free night night as there was a lot of noise on the morning of my departure.I will certainly book this apartment again if I am in Coffs Harbour. Cleanliness, comfort, close to the beach. Our five night stay in this modern, comfortable and very clean apartment was delightful. I would recommend this venue to everyone. They provide all the facilities one would need for couples and families. Undercover parking is provided. The apartment is central to the beach, clubs and a large shopping complex. A great place to stay! our stay was relaxing, friendly and the most comfortable bed I've slept in, (I wanted to take it home) overall very satisfactory.